It’s been nearly two years since Tom, Guy and I began trying to transform the world of sports nutrition in my mum’s kitchen. Thanks to mum’s patience, a lot of hard work and the unwavering support of our amazing TRIBE community, today we have just launched our first crowdfunding round with the aim of raising £1million. The new investment will help us build on the huge progress we’ve made in the past 18 months as we continue to strive to make the best products for our members and realise our goal of creating Europe’s largest sports nutrition brand. We’ve managed to bring the business this far, but to supercharge TRIBE to the next stage, we need your support. The TRIBE journey started in 2015, off the back of our first Run for Love, a 1,000-mile charity run across Eastern Europe. 250 runners took part in that journey, raising £250,000 to help fight child trafficking. Running 35 miles a day for a month helped us understand performance and nutrition in new ways. At the root of everything was a problem that mainstream sports nutrition was heavily refined and didn’t give us the nutrients we needed to perform. So, we set out to create our own solution: to build a new type of performance nutrition that would help modern athletes perform at their best. We knew natural ingredients provided better nutrition than synthetic ones. We wanted to build products that delivered real nutrition from natural ingredients. We started working on the products in 2015, while working full time on other jobs. Each weekend we went back to my mum’s, working on batches of trail mixes, which we packed into plastic sachets and sealed with hair straighteners. We sent them to the runners and cyclists we knew, family and friends, getting feedback, refining, sending out again. Since then, Guy, Tom and I have all quit our jobs to focus on the business. 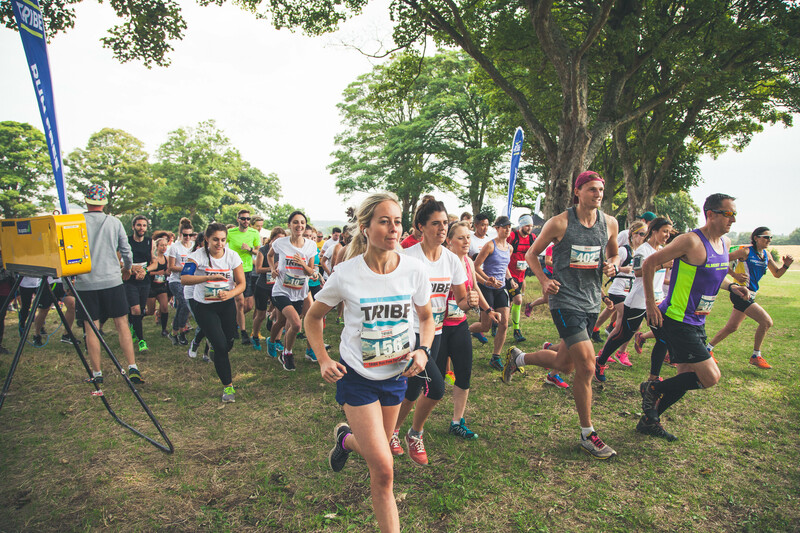 The first TRIBE event was 18 months ago and 10,000 TRIBE athletes have attended more than 100 runs and rides since. We’ve released 20 new nutrition products, across five innovative ranges. We’ve grown from zero to 25,000 customers, and now fuel 60,000 workouts a month, all off sales directly from the TRIBE website. Our goal is to build the largest performance nutrition brand in Europe by 2025. To help us create this business, we’re launching on CrowdCube today with the aim of raising £1m. We’ve chosen this route, as we want the TRIBE community to own part of TRIBE, to help us develop the products we build for them, and to shape the brand they are part of. The new funds will help to aid product development (with more launches to come in late 2017), improve the TRIBE tech platform, invest in marketing and support TRIBE events. As part of this fundraising phase, remaining true to the ethos of our business, our crowdfunding campaign also includes two unique participation events for prospective investors and our community, both taking place in week one of launch - a London to Oxford cycle on Saturday, 13th May and a London TRIBE run on Tuesday, 16th May. Mirroring our aims, all current TRIBE members and potential investors would then get the chance to get a flavour of what we’re about before choosing to invest to ensure, as is all important, that our members have, and always will, come first. By Rob Martineau, co-founder TRIBE.